We can't wait to talk with you about all the ways you'll become more efficient, secure and profitable now that The SSL Store™ and TrustTheSite have combined forces. It's time to celebrate! Now you'll have the best of both worlds. Local support by African-savvy gurus backed by a global team of 75-plus passionate web security fanatics committed to your success. We couldn't be more excited about the future. Find out why our being acquired by The SSL Store™ is great news for you, too. Acquiring TrustTheSite is the perfect next step toward fulfilling our joint mission to protect and enable organizations in South Africa with a complete portfolio of innovative, proven web security solutions from trusted brands, such as Symantec™, DigiCert®, Thawte™, GeoTrust®, RapidSSL and Comodo. We look forward to getting to know all of you who have been in the very capable hands of Gino and Nikolai. Massive industry changes have made it harder than ever for businesses to protect their customers, data and brand. TrustTheSite has done an outstanding job helping companies across Africa navigate these changes and has become the go-to provider for the right SSL certificates at the right price for SMBs, enterprises and partners. 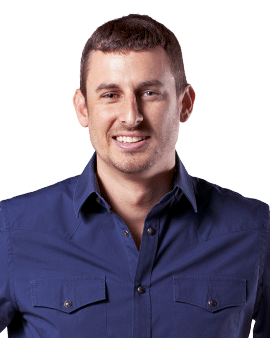 Gino and Nikolai also know firsthand how to fully leverage SSL Store's extensive resources. We'll continue to invest in your success while beefing up support with our combined team of 75-plus web security specialists. Together, we're also committed to delivering industry-leading web security solutions to the many organizations in South Africa that are still looking to take the hassle, risk and time out of managing SSL certificates and helping partners make SSL a simple, integral part of their value add for their customers. We're still here, along with 75-plus equally passionate web security professionals ready to serve you. So, for now, it's business as usual but a whole lot better. We know you have questions, so we've got answers. We're Here for You. Contact Us at +27 21 205 1481. 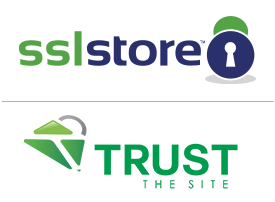 Why did The SSL Store™ acquire TrustTheSite? We’ve seen TrustTheSite turn their passion for web security, clear goals and commitment to help a largely underserved community of web managers into rock-solid relationships with companies of all shapes and sizes across Africa. They bring a wealth of knowledge about the business models, challenges, opportunities, culture and unique needs of the African market. What benefits can I expect to gain from this acquisition? You'll have new products and solutions that'll enable you to streamline and manage the entire lifecycle for all your SSL certificates like never before. You'll gain access to a full portfolio of proven solutions to help you solve your biggest security challenges. Resellers can look forward to leveraging flexible integration options, specialized tools and plugins to simplify every aspect of SSL. Large organizations can finally take the hassle, risk and time out of managing volumes of certificates. You'll gain flexible payment options to fit your unique billing needs. Will my day-to-day functions or capabilities be impacted? Will I notice any significant changes? What happens after I reset my password? Can I continue to pay in local currency (Rand) using same billing details? Will I lose my existing credits or orders? Will I still have a Dedicated Account Manager? How will this impact purchasing, generating, validating, installing and supporting new and old orders? How does this impact my existing SSL certificates? How does this impact the way I manage my SSL certificates? How will this impact the renewal process of my expiring SSL certificates? What type of certificate management features will I receive in the new control panel?